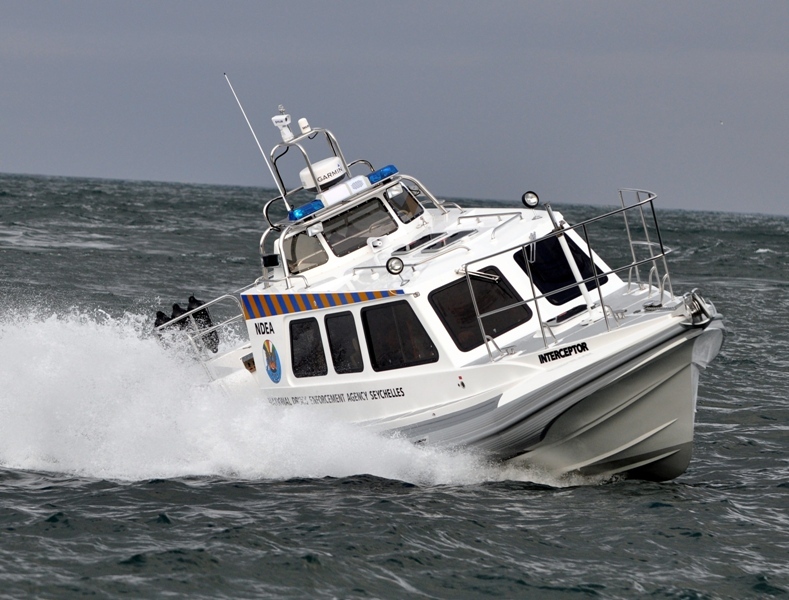 The Stormforce 11 is the flagship in our range offering the best that RIBs can offer and was a natural development from the 9.1 due to customer demand for a larger RIB. 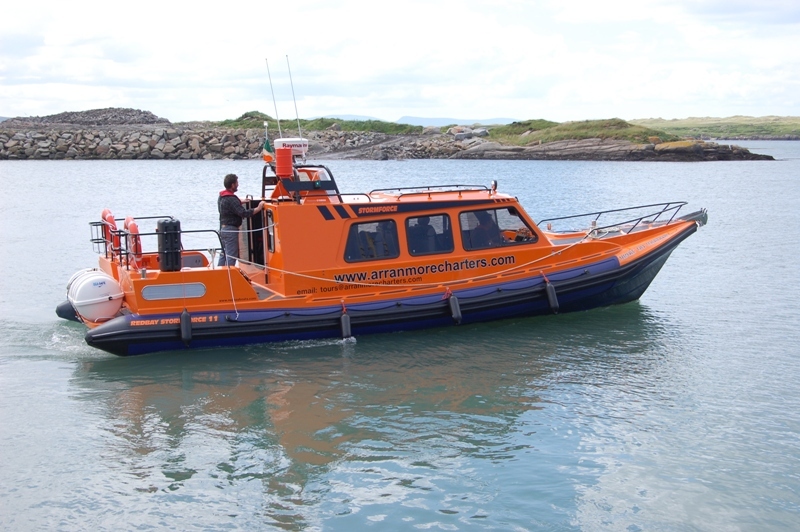 Puffin Dive Centre in Oban took the first two boats out of the mould for their operations on the West Coast of Scotland and since then, the 11 has developed and continued to grow in its popularity. 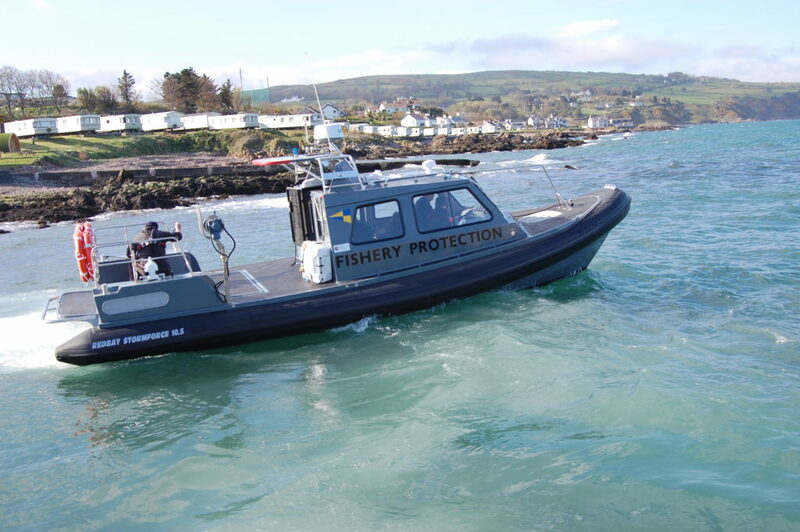 Every 11m RIB is unique and can be customised to your requirements. 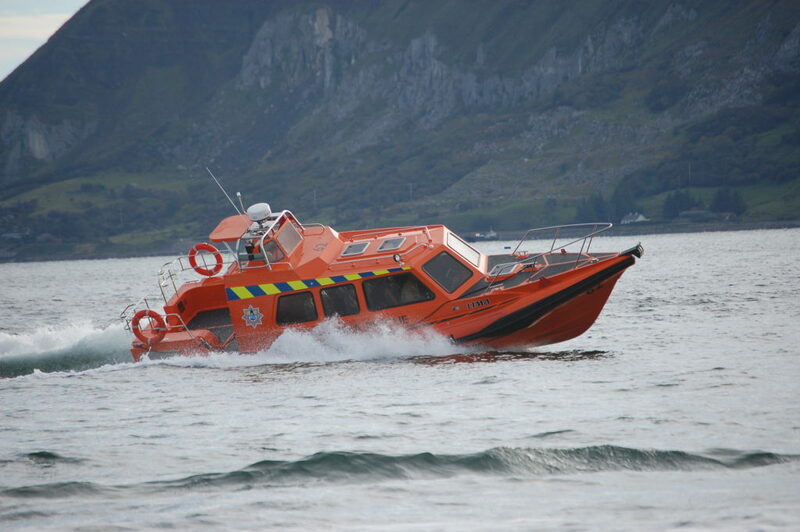 The Cabin version is what we consider to be the ultimate for offshore operations. The latest generation is fully decked, something truly unique among Ribs. 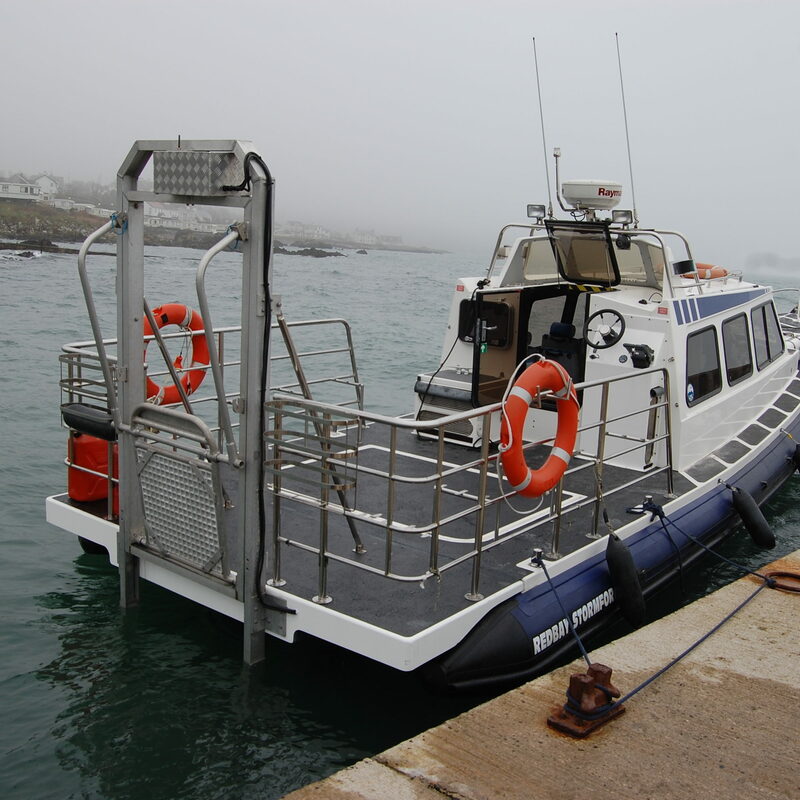 The Full GRP Cabin is fitted with Seaglaze toughened marine grade safety windows and in terrible conditions offshore, it is reassuring to know that you have the fantastic seakeeping of the 11m hull looking after your passengers, with the safety and comfort of a cabin. 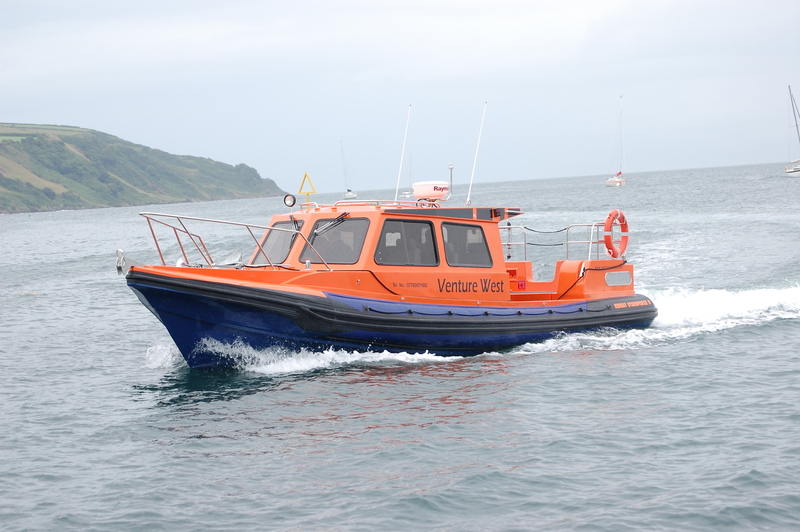 Arrive at your destination or return home at the end of a long day warm, dry and relaxed, having experienced the joy of what has been termed “the finest RIB available today”. 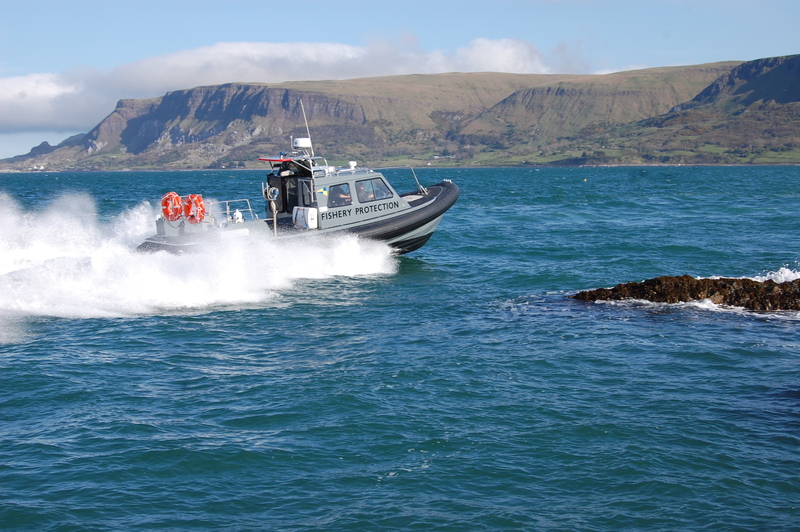 The Redbay Stormforce 11 Cabin has been coded to both MCA Category 2 (UK) and to Department of Marine (Eire) P5 and we are proud to be the only RIB manufacturer to date to meet and code to the very stringent requirements of the P5 code. With our dedicated in-house Design Office we are also able to work with other Commercial Codes of Practice. 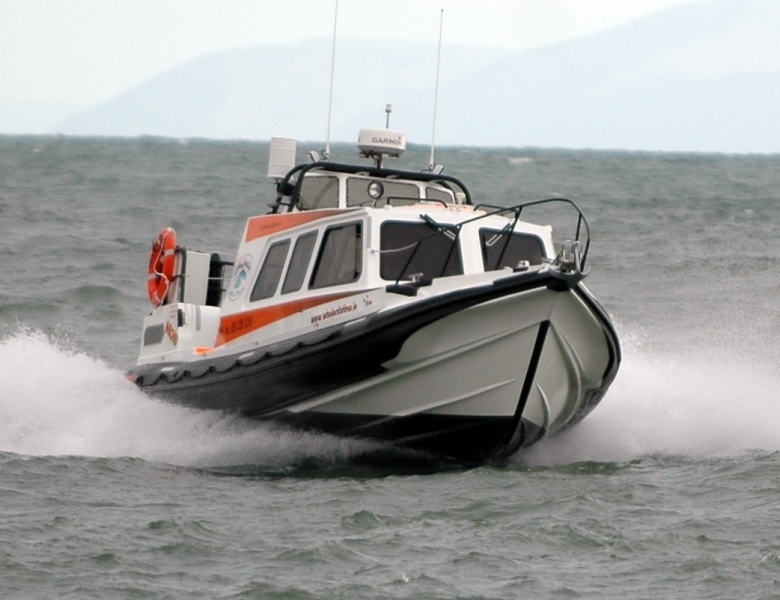 The Stormforce 11 is a deep V hull form, which is one of the reasons that this RIB has such fantastic abilities in rough offshore conditions. 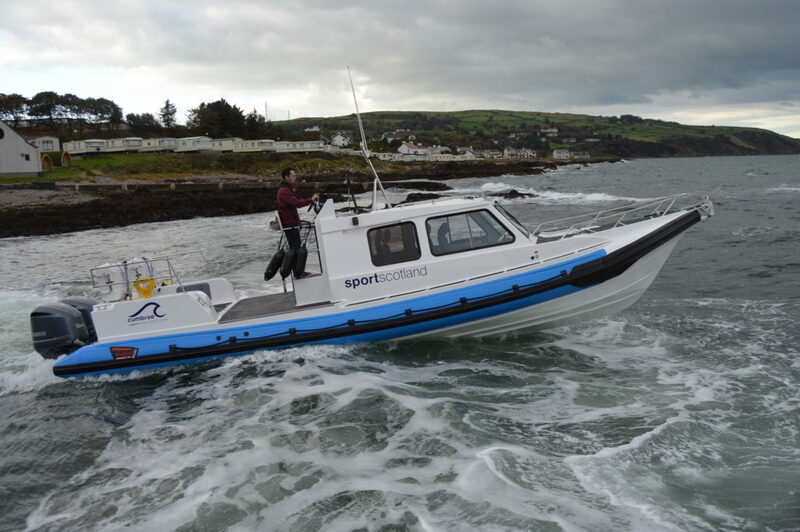 The Deep-V hull is combined with sprayrails to produce additional lift and improve the hydrodynamics of the hull. 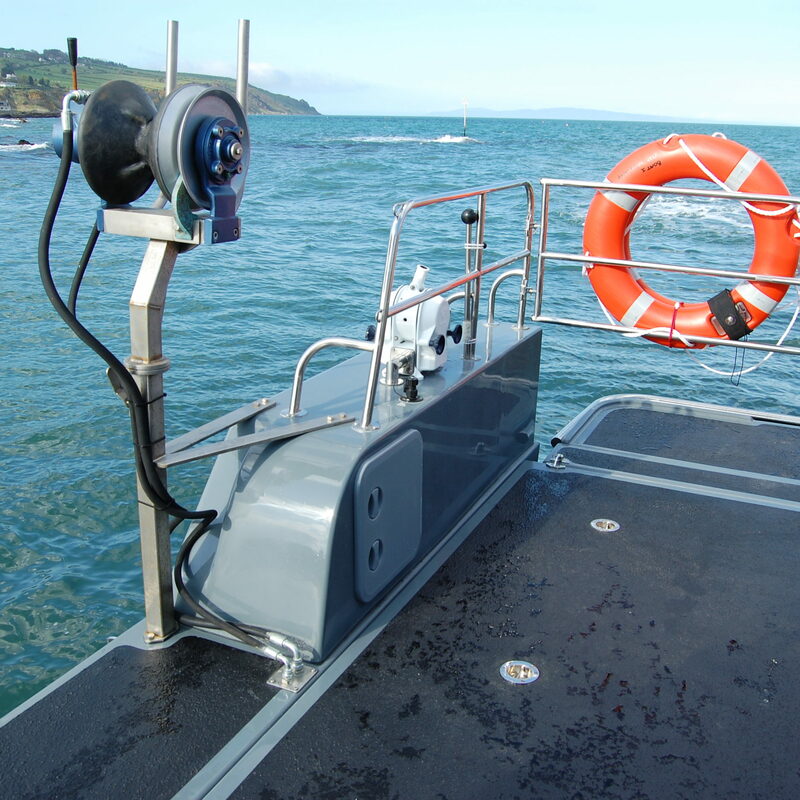 The tube is designed to sit firmly in contact with the water surface while at rest, ensuring that the RIB has maximum stability. 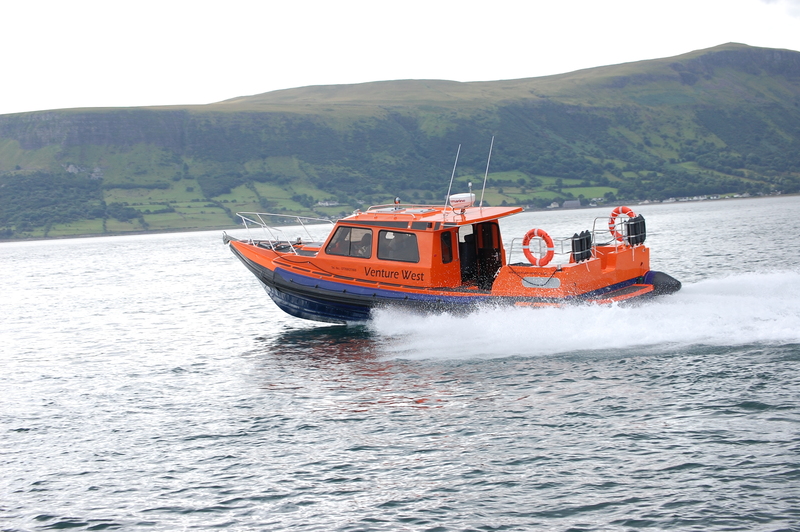 One of the major safety feature designs of the 12 is the Hard Nose, and, after many years in testing, it has proven itself to be one of the most successful features on this design. 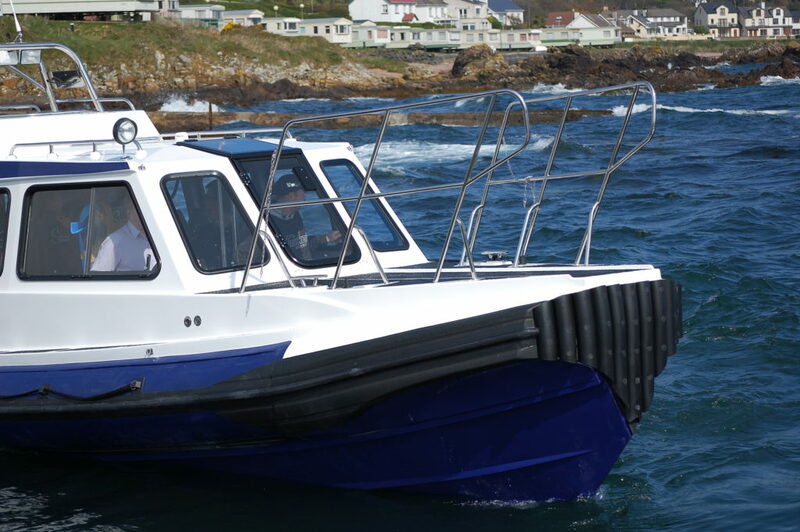 The nose offers complete protection from detubing, which can occur when driving hard in large sea states. 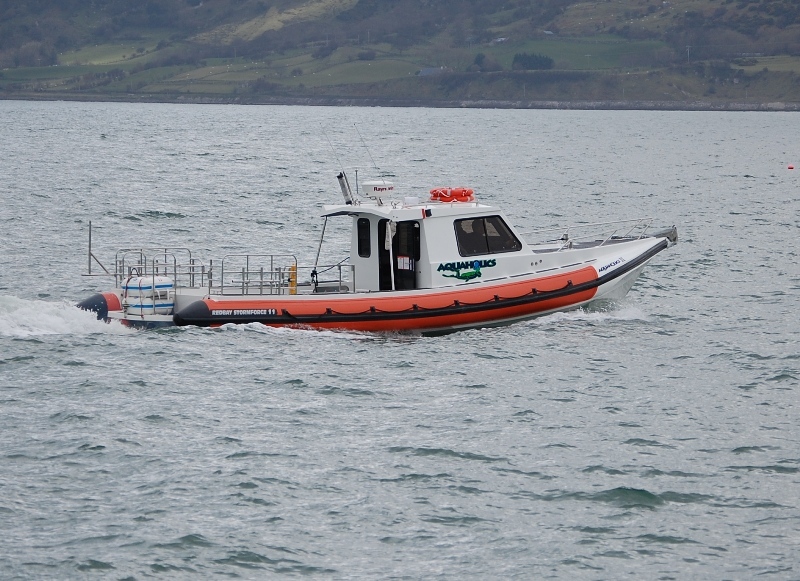 Additionally, there are two independent tubes on each side of the hull, offering even greater safety. The other features of the hard nose are mainly a practicality need. 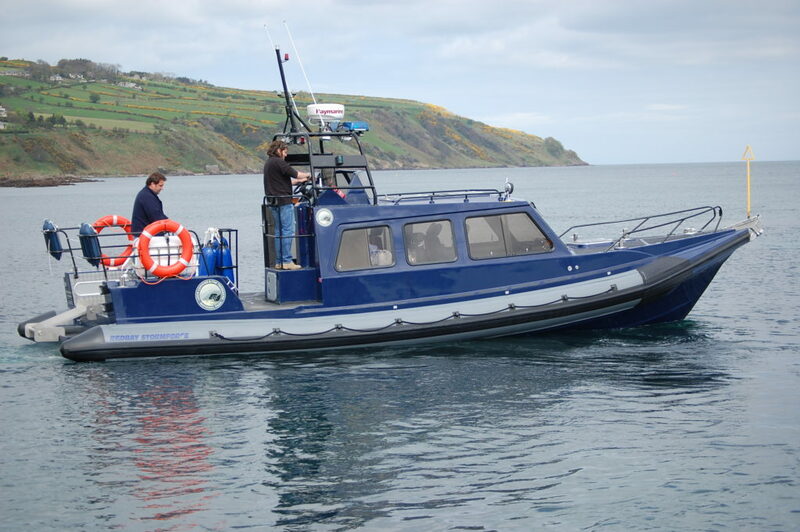 The GRP nose offers a much more suitable platform from which to anchor or moor without damaging the tubes. 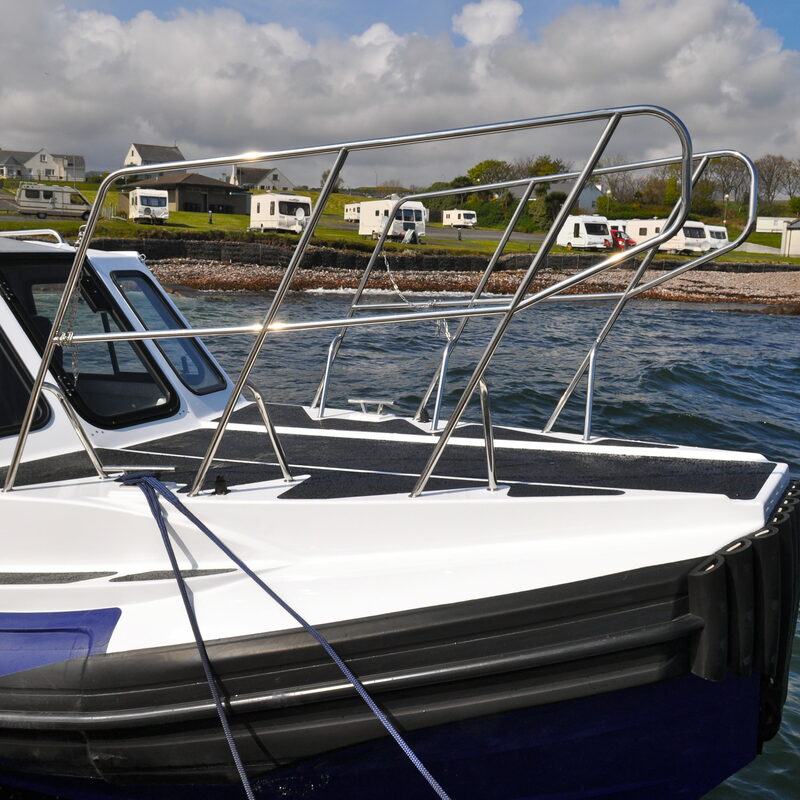 It also offers much more internal space; this has enabled a large dry storage locker to be encorporated, and most models facilitates twin berths. 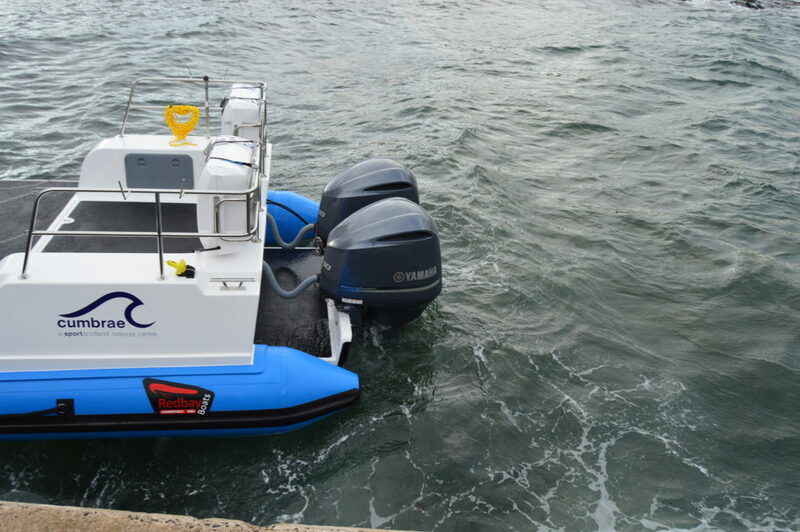 The cabins offer a spacious double berth in the bow of the RIB with the controls mounted forward in the main cabin, offering plenty of space for todays modern navigational equipment. 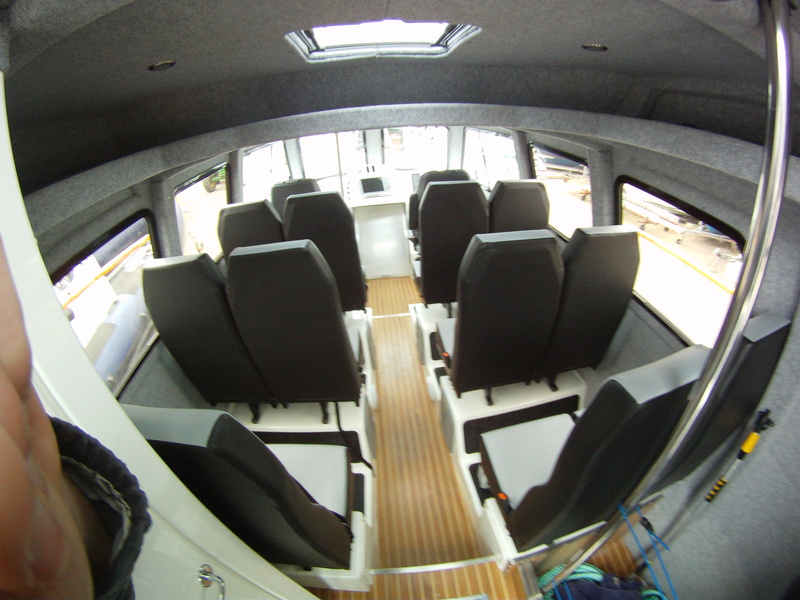 The layout of the rest of the cabin is left for you to decide. 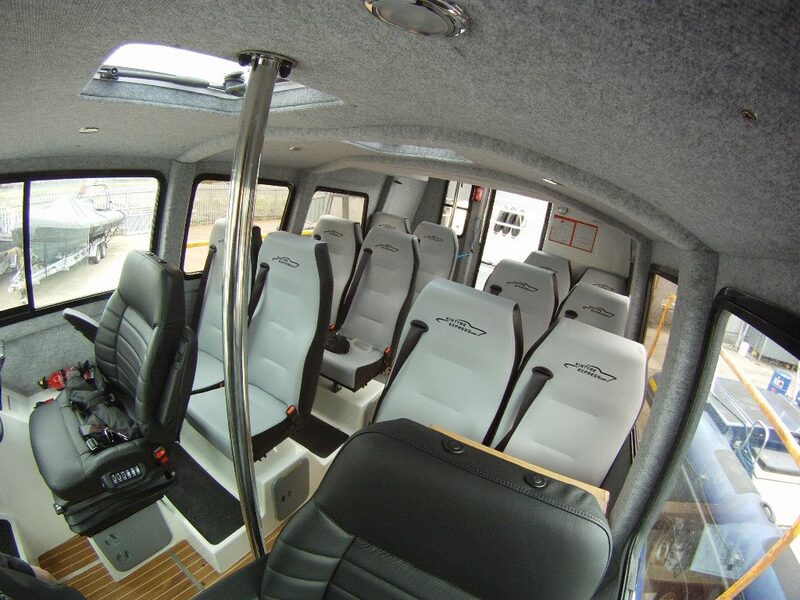 Options can include individual seats with safety harnesses for 12+2, and for long range operations, Air Sprung Suspension seats are also available. Galleys and toilet cubicles can also be fitted. 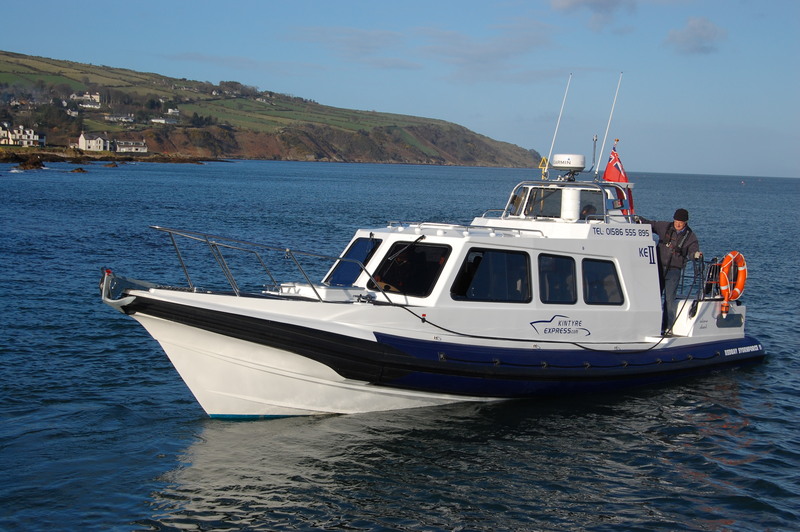 At the stern is a dedicated engine compartment with plenty of space for working around a twin installation. 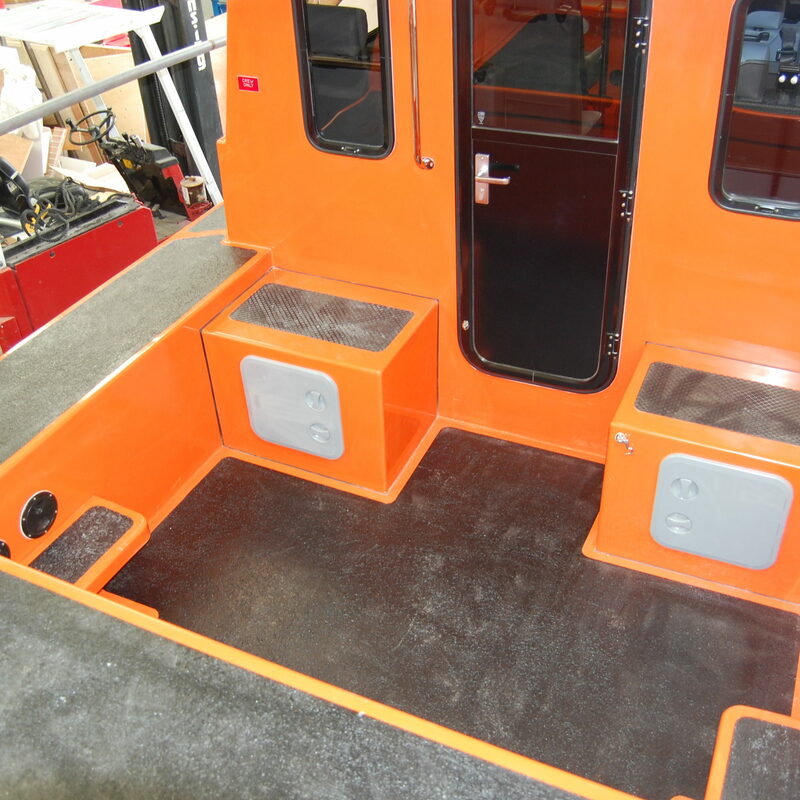 Between the engine compartment and the main cabin, depending on the version, a large storage locker is provided which extends the full width of the vessel. 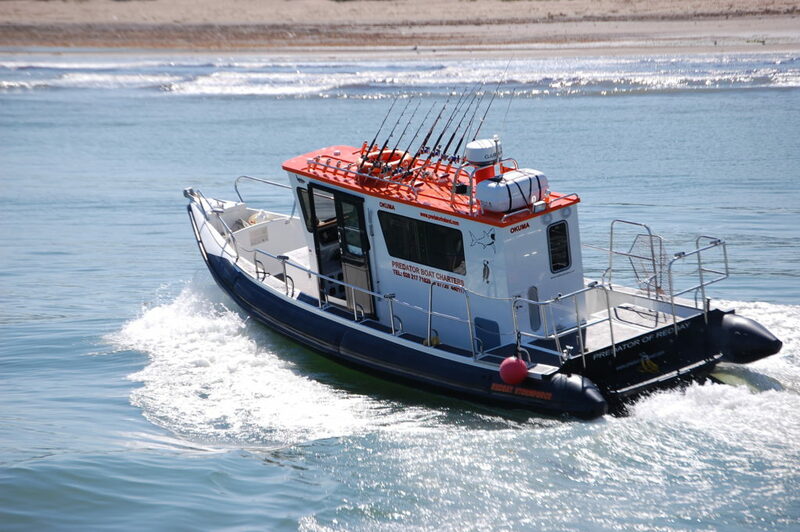 Our experience working closely with both serious offshore leisure users and commercial operators puts us in a unique position of being able to understand the needs and requirements of all types of users. 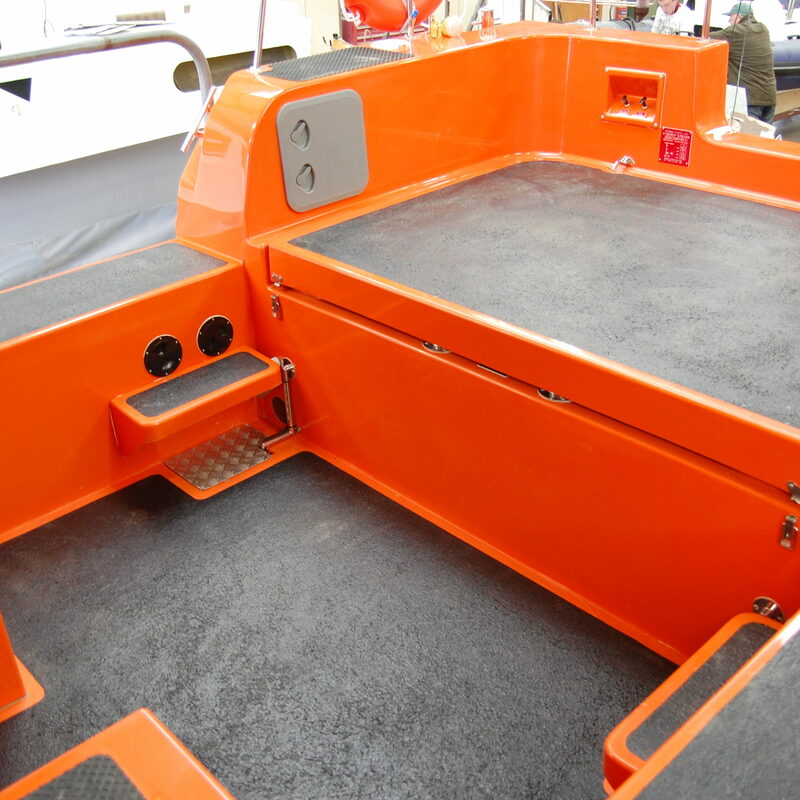 That’s why we are the preferred choice for Passenger Boats; our Ribs can easily satisfy Coding requirements, whilst maintaining a high quality luxury interior; truly something important to the Passenger RIB. 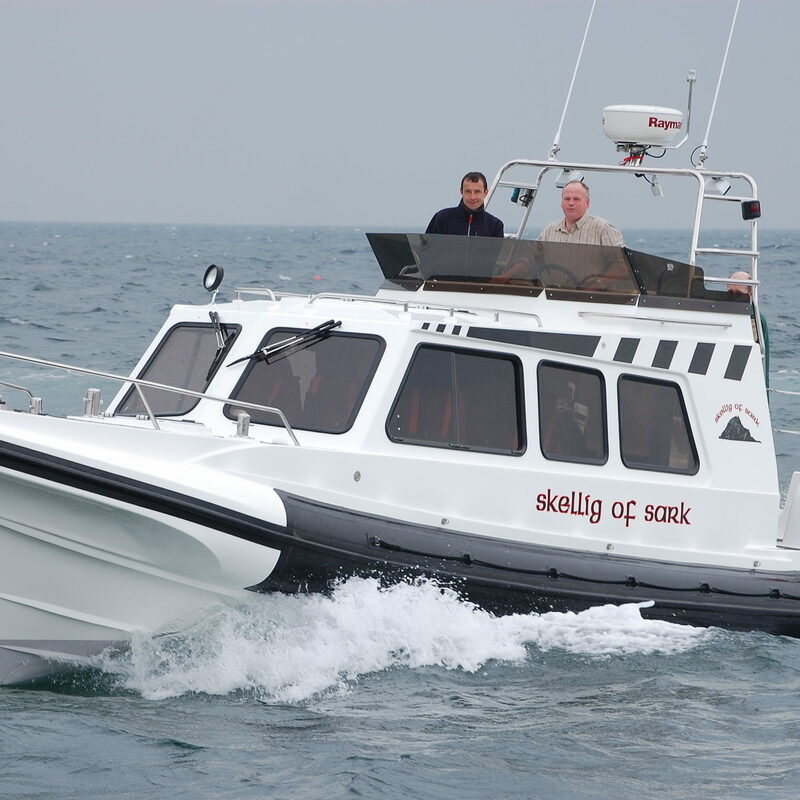 A shorter cabin extends the stern deck space making this perfect for working boats.